Naturally fermented vegetables contain beneficial bacteria that are widely recognized by health experts as one of the best natural aids for digestion and good health. But if you have made fermented vegetables in make-shift containers before, you have probably seen potentially harmful molds and scums growing on your vegetables and gotten more than what you have asked for. With the K&K Keramik Gartopf Fermenting Crock Pot, you can take the guesswork out of making fermented vegetables, and create mold-free sauerkraut and other probiotic foods every single time. This ceramic crock is specially made for fermenting vegetables, this hand-made fermenting crock pot is designed with ease-of-use and your safety in mind. 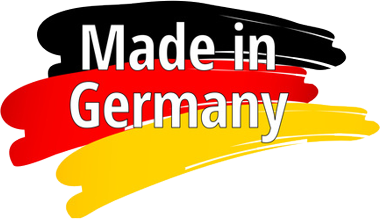 K&K Keramik based in Germany is well known for its beautiful hand-made pottery and rum pots. 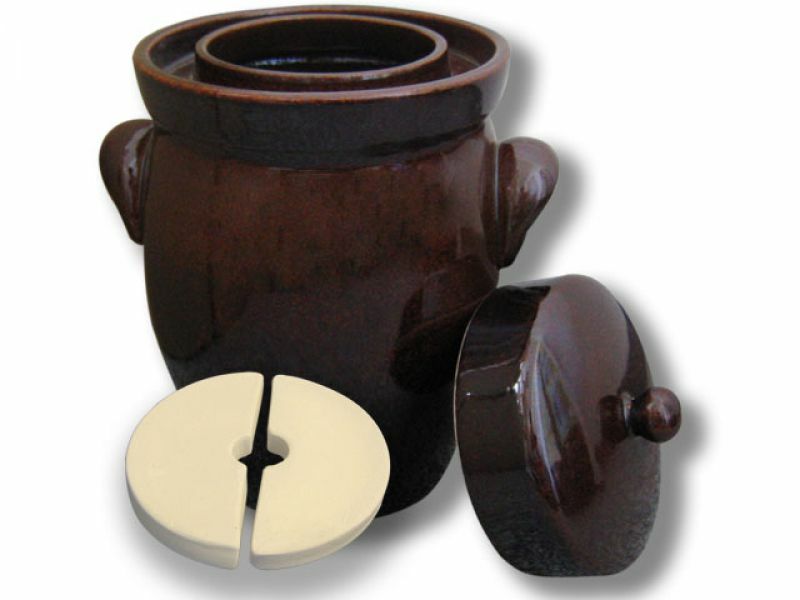 K&K also makes Gartopf Fermenting Crocks with the same high quality standards and beauty. These fermenting crocks, known under the name �Kerazo� in Europe, are hand crafted, made in Germany, and designed in a modern, functional bulbous shape with side handles. 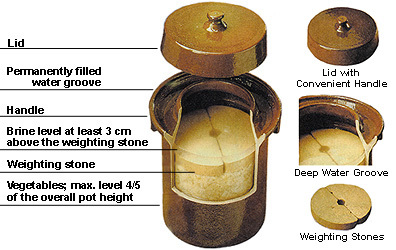 Each crock comes complete with pot, lid, weighing stones, and instruction/recipe book. 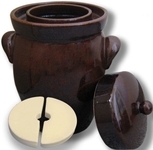 This fermenting crock is very attractive, sturdy, easy to use and quite functional. Make natural nutrition-packed sauerkraut and pickled vegetables with this stoneware crock pot from Germany. Through the years, sauerkraut has been recognized as one of the healthiest foods, and was even used on sailing ships to protect sailors from scurvy. Natural lactic acid fermentation is one of the oldest and healthiest means of food preservation. It allows natural, beneficial bacteria to perform a fermentation process in which vegetables develop a pleasantly sour taste and remain rich in vitamins and minerals. Lactic acid fermentation is the only method of preservation that retains all the natural plant ingredients while improving the quality, taste and aroma. Has a deep 2.75" gulley that creates a water air lock that lets gasses escape but keeps bad mold and bacteria out. What size crock should you purchase? Deep gully (2.75") � allows expelling of gas; prevents entry of insects, dust, etc. We pay shipping to ship the K&K Keramik Fermentation Crock to your you. These fermentation crocks are fragile. We carefully pack, pad, insure and double box every K&K crock we ship to protect it from damage. In the rare event there is damage to your crock we will make it right. Just let us know.